Liver cancer occurs in two situations: primary liver cancer when malignant cells first form and spread in the liver, and secondary liver cancer where cancer that began in another part of the body has later spread to the liver. The liver is the second largest organ of the body and is part of the digestive system. It is in the upper right side of the abdomen, next to the stomach. The liver plays an important role by filtering waste products from the blood, and breaking down foreign substances, such as alcohol and drugs. The liver is also responsible for producing bile to help dissolve fats so that it can be easily digested. There are two main types of primary liver cancer; both named after the location where the cancer begins. Hepatocellular carcinoma is the most common type of liver cancer and starts in the main cell type of the liver called hepatocytes.  Cholangiocarcinoma begins in the cells of the bile duct, and is also known as bile-duct cancer. There is also a rare type of primary liver cancer, called angiosarcoma, which originates in the blood vessels of the liver. Early stages of liver cancer are rarely detected as they may not cause symptoms or only show in the form of non-specific symptoms. Most diagnoses occur when liver cancer becomes advanced. Liver cancer is the fourth highest cause of cancer related deaths worldwide. In Australia, liver cancer is not common compared to other cancer types. Around 2,115 cases of liver cancer will be diagnosed in 2018. Liver cancer is usually diagnosed when it is at an advanced stage. Survival outcomes are influenced by the health and age of the patient in addition to any pre-existing liver problems, such as cirrhosis, liver disease or infection with hepatitis. Liver cancer is twice as common in men as women. The five-year survival rate after initial diagnosis is 18.1%. The biggest factor that increases risk of liver cancer is infection by the Hepatitis B or C virus, which leads to cirrhosis (scarring of the liver). Other factors that cause liver damage, such as family history of liver disease, obesity, diabetes and heavy drinking of alcohol can lead to primary liver cancer. The type of tests chosen by medical practitioners to diagnosis liver cancer will depend on the symptoms. Blood tests can reveal whether there is abnormal liver function or to look for chemical markers that may indicate the presence of liver cancer. Medical practitioners may also use imaging technologies such as computed tomography (CT) or Magnetic Resonance Imaging (MRI) scans to examine the liver for possible tumours. They may also take a tissue sample to see if there are any cancer cells present. There are certain chemical markers that are produced by the body as a reaction to cancer. This can be detected by blood tests. High levels of a chemical marker, called “alpha fetoprotein”, have been linked to cases of people with liver cancer or cirrhosis. Blood tests can also show whether a hepatitis infection or inherited genetic disorders are present. Imaging technologies such as an ultrasound scan, may be performed for doctors to obtain a clear picture of the organs inside the abdomen and to look for primary liver cancer. If doctors need a more detailed examination of organs, CT scans and MRI scans may also be required. These tests show the size and location of possible tumours in the liver, and if the cancer has spread. The doctor may also take a small sample of liver tissue called a biopsy, to examine under a microscope to see if there are any cancer cells. Laparoscopy is a minor operation that allows the medical practitioner to examine the liver directly and take tissue samples. A biopsy may also be done using fine-needle aspiration, which uses a thin needle to remove cells. For primary liver cancers, treatment options include surgery to remove part of the liver, liver transplantation, tumour ablation or systemic therapy. The choice of liver cancer treatment recommended by the medical practitioner depends on the number, size and location of the tumours and severity of the underlying liver disease. When surgery or liver transplantation is not suitable, tumour ablation is the most common treatment. This includes radiofrequency ablation, where the doctor inserts a probe into the tumour. The probe emits radio waves or microwaves, which produce heat that kills the cancer cells. Tumour ablation also includes cryotherapy that freezes and kills cancer cells or by injecting pure alcohol into the tumour to kill cancer cells. The decision for surgery to remove part of the liver will depend on the size, number and location of the tumours and the severity of the underlying liver disease. Removing the cancer and the surrounding tissues of the liver is called a hepatectomy. If the liver is not damaged from cirrhosis, it can grow back and function normally after a few months. A liver transplant will depend on finding a suitable donor as well as the health of the patient. If the liver cancer cannot be removed by surgery, other treatment options include transarterial chemo-embolisation (TACE). This procedure involves injecting chemotherapy into the hepatic artery, which blocks blood supply to the tumour tissue or radio-embolisation (90Y), which involves injecting radioactive particles directly into the blood supply of the tumour to kill it with high levels of radiation. Systemic therapy in the form of oral capsules (called Sorafenib) may be considered in patients with advanced liver cancer. This drug is a targeted therapy as it targets the blood supply and growth of the tumour. Supportive treatment to ease symptoms, such as bile duct blockage, is also available, such as inserting a plastic tube (a stent) in the liver to drain the bile. 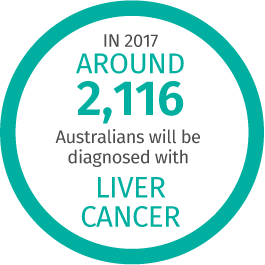 There is currently no national routine liver cancer screening program available for the general population in Australia. However, monitoring is recommended for people who believe they are at high risk. This includes people who have a family history of liver cancer, hepatitis B and C infection, or cirrhosis from other causes.